Some of America’s best exports were on display Sunday, the second day of our visit to Lithuania. On day one, we reaffirmed our commitment to counter Russian aggression and broke bread with some of the country’s great freedom fighters. Morning. We made our way to the Port of Klaipeda, where you’ll find Lithuania’s first floating liquefied natural gas (LNG) terminal. It arrived last October, but the pride it brought in with it is still all around. it is a game-changer for the region. For years now, Lithuania has been completely dependent on Russia for natural gas. But with this terminal — where you can transport, store, and regasify LNG right onboard without having to build a full-scale facility — they’re beginning to build their own supply. They told us that this one terminal can deliver resources to all of Lithuania and eventually much of the Baltics, including Ukraine. Not only that, but consumers will be able to pay prices in line with the global market, not Russia’s whims. This is a big deal, and the United States can help in a big way. In January, the House passed a bipartisan bill to help expedite the approval of LNG exports. In my view, this is one of the biggest things we can do for the region. It’ll also help create roughly 45,000 jobs at home. Afternoon. We docked near Klaipeda’s old town, where we were greeted by the mayor. Vytautas Grubliauskas, who was wearing a United States Congress tie, also happens to be one of the leading jazz musicians in Lithuania. He’s even got a big “JAZZ” sign right there on the water. Made sure to take a picture in front of that. Instead of offering a boring old toast, the mayor paid tribute to our visit with a performance of “What a Wonderful World” by Louis Armstrong. Did the voice and everything. Incredible. Evening. Back in Vilnius, we headed over to the Ambassador’s residence to meet some of our servicemembers stationed in Lithuania. 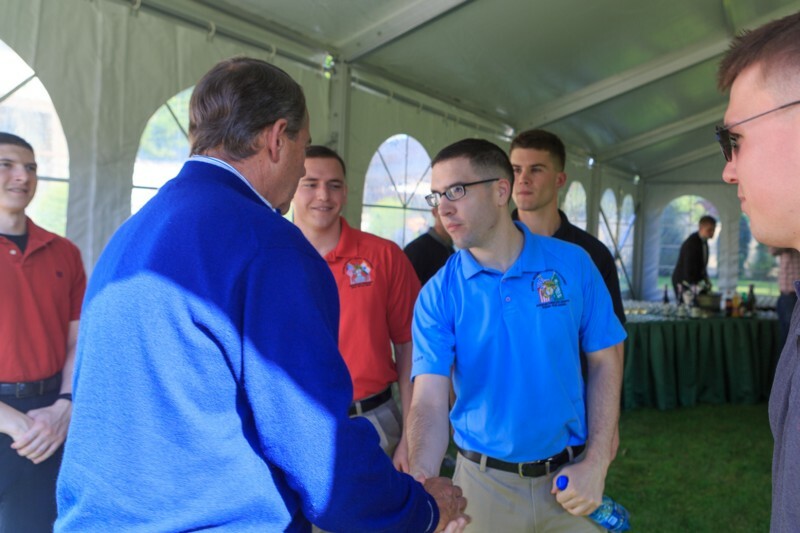 Talked to a couple of young men from Ohio, got to hear some of their stories, thank them for their service. Having troops here sends a message. It also shows the region that we’re ready to do more than that if need be. When a convoy of U.S. troops recently headed back to base in Germany, they did so by road rather than rail, to drive that point home. At times like this, it’s important to know who your friends are.